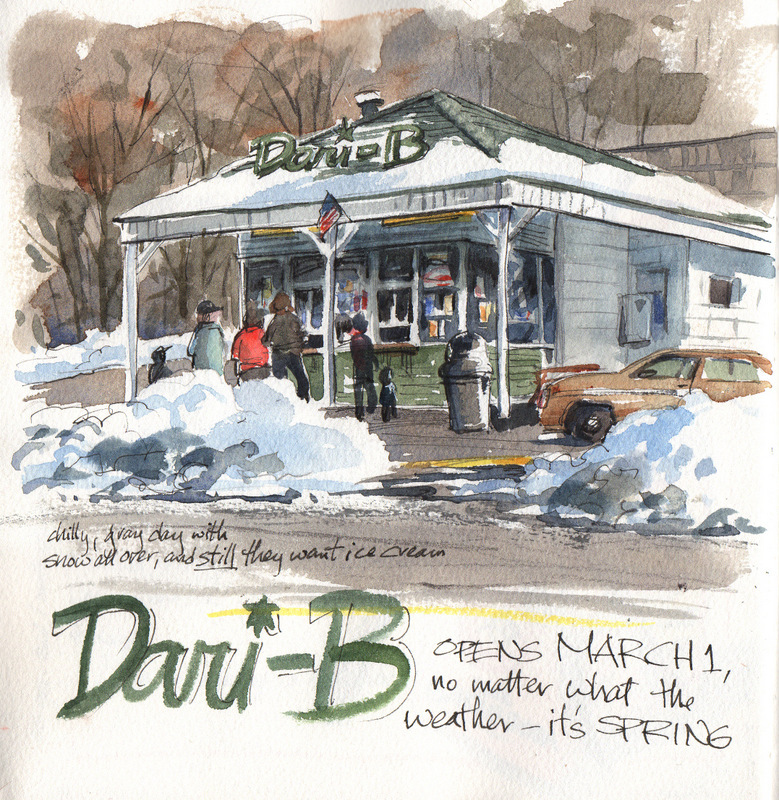 Every year on March 1, the Dari-B opens...this year HUNDREDS of people stood in line for ice cream on a snowy day. Nuts, yes? But...spring! HAH! Now that's a great sign of spring! Great sketch of a classic walk-up ice cream shop. Soft-serve I presume? Actaully, whatever you want, soft serve or otherwise, banana splits with real bananas, fresh-made orangeade and limeade (last I had those last two, anyway!) and always good. Nice sketch makes me think of spring. I'm heading north tomorrow for my last weekend of ski patrol duty. I love to ski but I'm ready for spring. Thanks for the sketch it warmed up my day. Thanks, Dave, we'll look forward to seeing spring in your area!